One station per sponsorship. This will include a tent with handheld foods. Company logo will be prominently displayed at shooting station(s) sponsored. Recognition of sponsorship on Sponsor Board in Pavilion. One station per sponsorship. This will include a tent with coffee, cocoa and water. Company logo will be prominently displayed at shooting station(s) sponsored. Recognition of sponsorship Sponsor Board in Pavilion. One station per sponsorship. Company logo will be prominently displayed at shooting station(s) sponsored. Recognition of sponsorship Sponsor Board in Pavilion. One station per sponsorship.This is an opportunity to have a biography of your loved one who is or was a US Military Hero displayed for all to read at each station. Biography writing assistance will be provided. 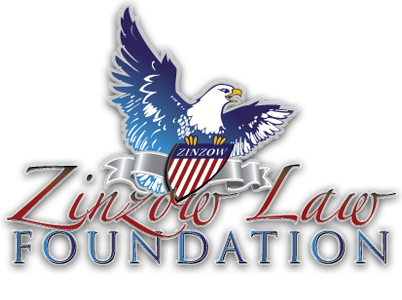 Your Hero will be displayed on the Zinzow Law Foundation Hero Wall on our website. Each Hero Biography will also announce the Hero sponsor. This donation will cover the cost of the events musical entertainment. This could also be an in kind donation from a talented musical group. Sponsors in this category will donate an item / event to be raffled at the tournament with 100% of proceeds going to the charity. Company logo will be prominently displayed on the raffle board and a special announcement will be made regarding the company/sponsor at the event. Recognition of sponsorship on Sponsor Board in Pavilion. Donors in this category donate an item / event to be auctioned at the tournament. Recognition of donation will be on item / event donation page and on Sponsor Board in Pavilion. Items due Monday, February 19, 2018. Click Here to complete a donation form.